September had been relatively quiet, up until the end of the month. 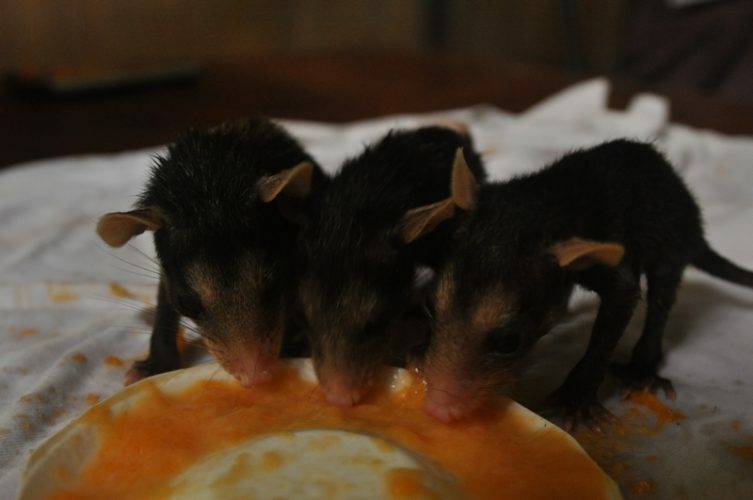 A monkey, two baby bats and 5 baby opossums have been the only new arrivals this month which makes a nice change from the 88 that arrived last month. Olivia and Marlon went to the Netherlands at the beginning of the month and are expected to return in the middle of October. Many animals have moved out of the SUST hospital and a number of animals have been released. 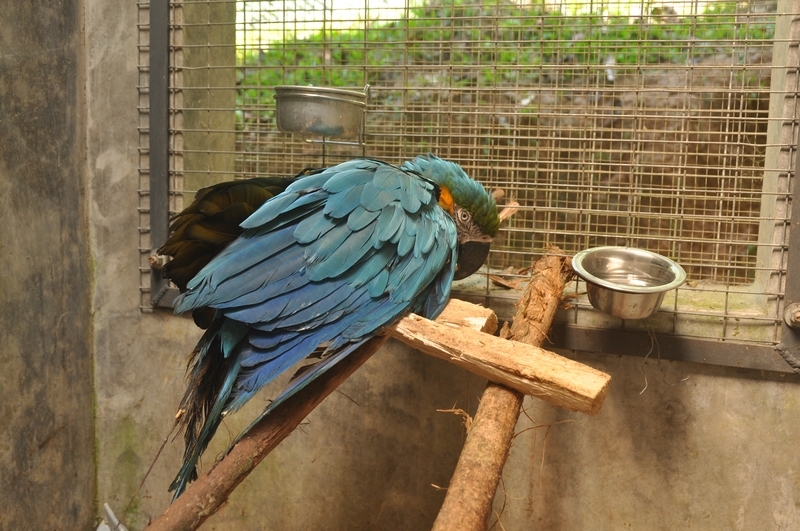 Towards the end of the month we did have a bad day which started out with finding out that Kaya, one of our beloved howler monkeys passed away and an hour later Douwe found Rafiki, one of the blue and yellow macaws wounded on the floor of the aviary. We always try and expect the unexpected. 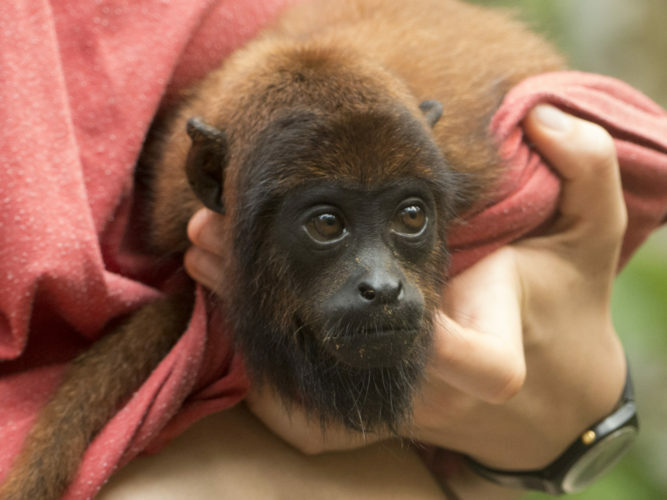 Kaya, young, female howler monkey moved to the manager house where she received round the clock special care. Her state was fluctuating but we could see a steady improvement in her as she spent a lot of time with the woollies, mainly Chiquita and Lupa who kept her company every day. 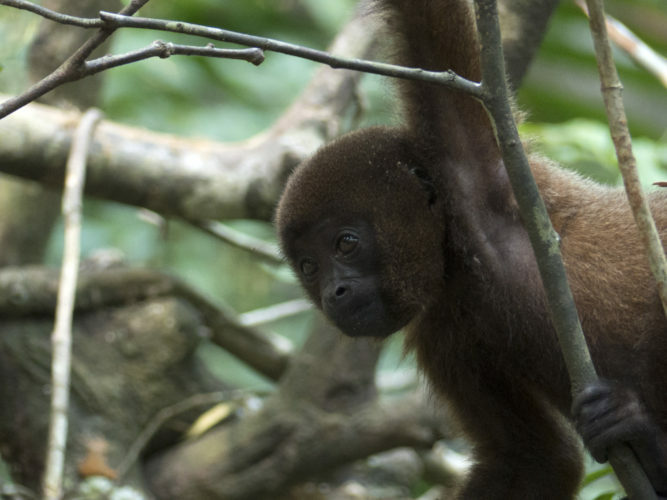 Her friend Darwin, our other howler monkey around the same age, also frequently came to visit her. However, even all the extra care and attention couldn’t save her. She passed away and we are unsure why exactly. She was a favourite of many of our volunteers and is deeply missed. We all admired her fighting spirit in the last month and enjoyed seeing her out and about with the other monkeys towards the end of her life. 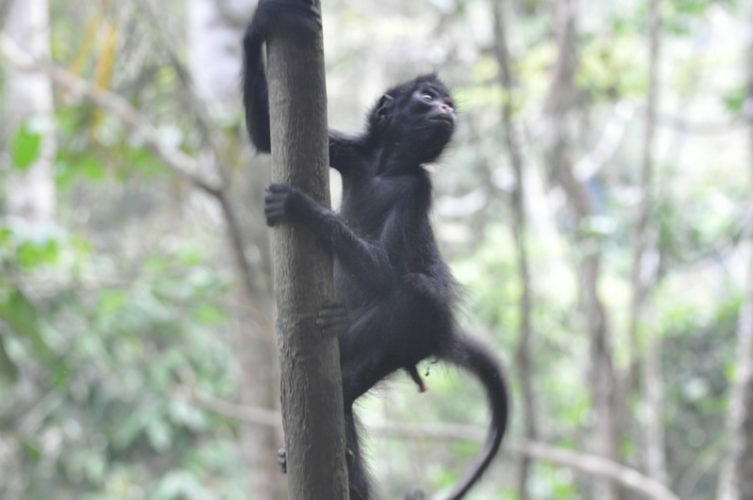 Then we recently also had some changes to the Spider monkey group. 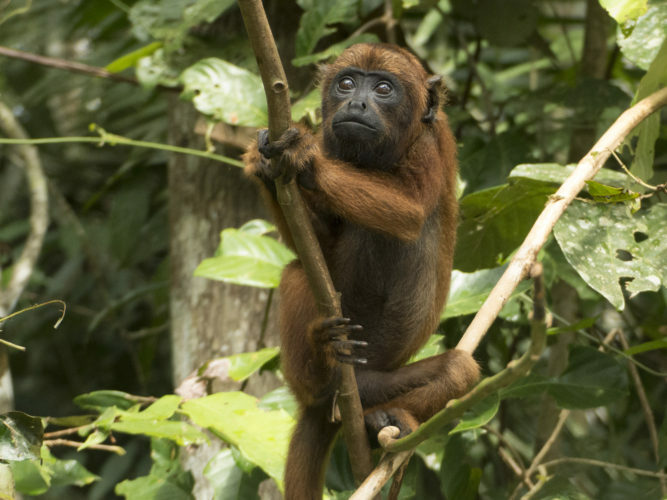 Yanay, Cumala, and Cumala’s son Camu, were released from the Rimaq enclosure where they spent about a month and a half together with our two males Rimaq and Lucio. The females were placed in the enclosure as both were in heat and started showing too much interest in people. 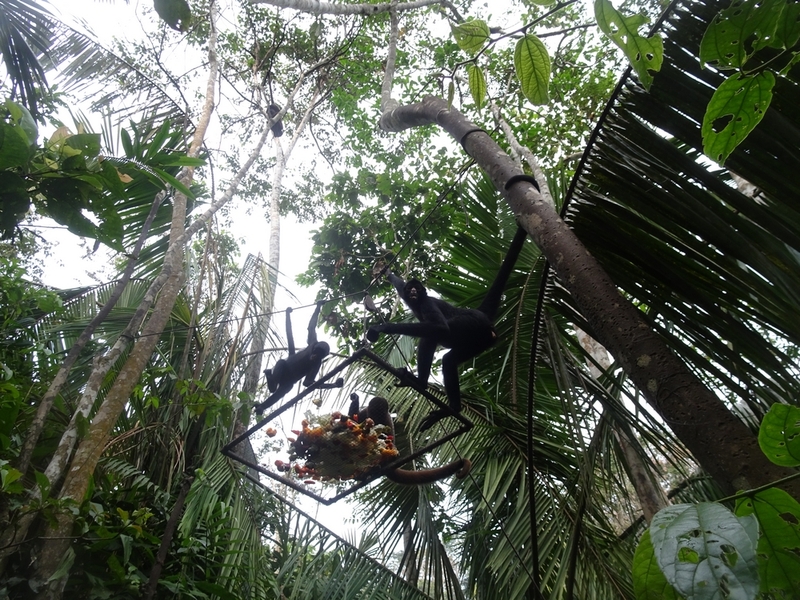 Both Rimaq and Lucio were very happy to have some company and all of us enjoyed seeing the spider monkeys together as a group. Before their release we tried introducing new spider monkey baby Katinka to Yanay, in hopes that she would carry her and look after her. Unfortunately neither of them seemed very interested in each other and so Yanay was released with Cumala and Camu. 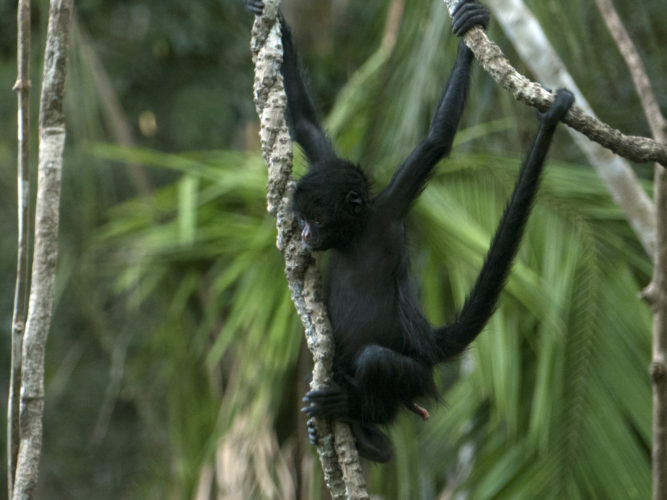 It is also very nice seeing the spider monkeys outside again and on the first day Cumala could be heard making her typical happy noises. 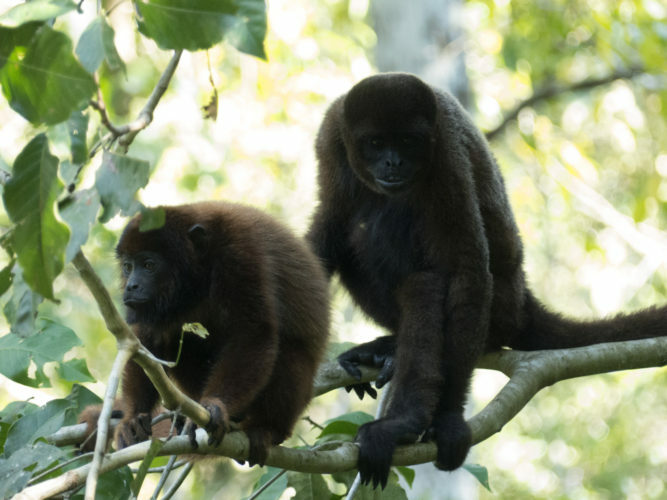 Monano and Loki, our biggest male woolly monkeys, have now spent some time with our newer adult woolly monkey Moyo in the La Sapa enclosure. 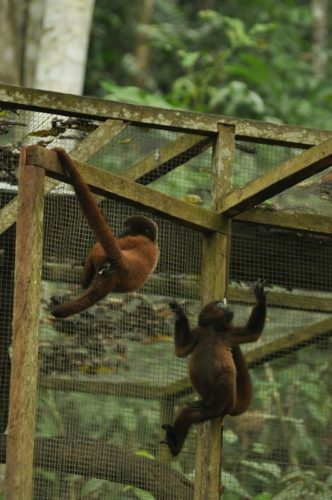 They seem to enjoy each other’s company and they will be released to join our outside group of monkeys as soon as possible. Unfortunately all of them have developed a skin condition, especially in their faces, but also on limbs and tails. They will now stay enclosed as we don’t want it to spread to the outside monkeys. Giving them their medication is a challenge every day as our team tries to come up with new ways to offer them their medicine to try and trick them into taking it as it does not taste very nice. So far it has worked out and we hope their condition improves soon. 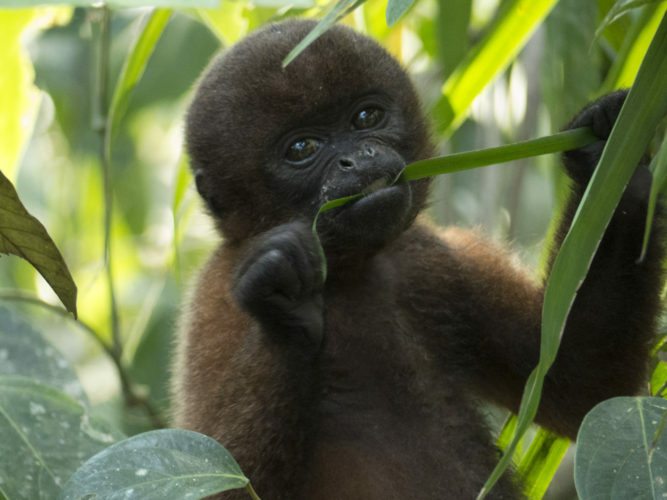 Suly, Tushko (female and male woolly monkeys) and Katinka (female young spider monkey) have finally made the big step to leave the Araña enclosure to get to know the outside baby and adult monkeys. This is always an exciting time where we pay close attention to see how they respond to being outside and to see who they make friends with. 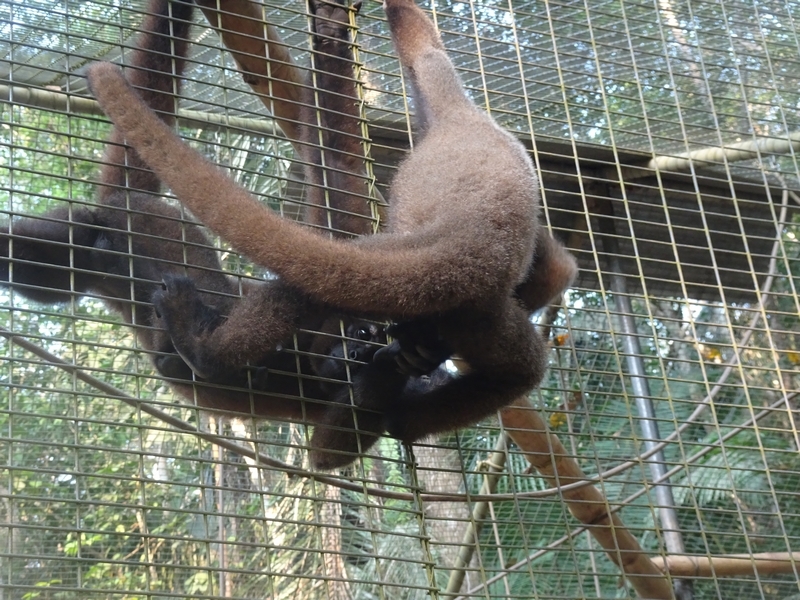 They have been doing great; they are integrating and making friends, for example with Talisha, one of our youngest female woolly monkeys and with Ramon (young male howler monkey). Katinka is the only one of the three who has not yet learnt how to sleep in the trees. She seemed to prefer the sleeping box of Yara (the volunteers’ dog). Poor Yara! 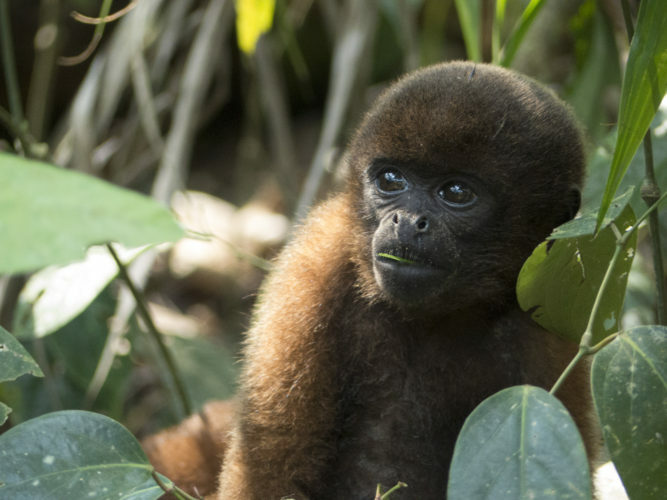 In the last week she has been spending the nights with her friend Darwin in the Pepe enclosure, where she has her very own box in a tree to sleep in. 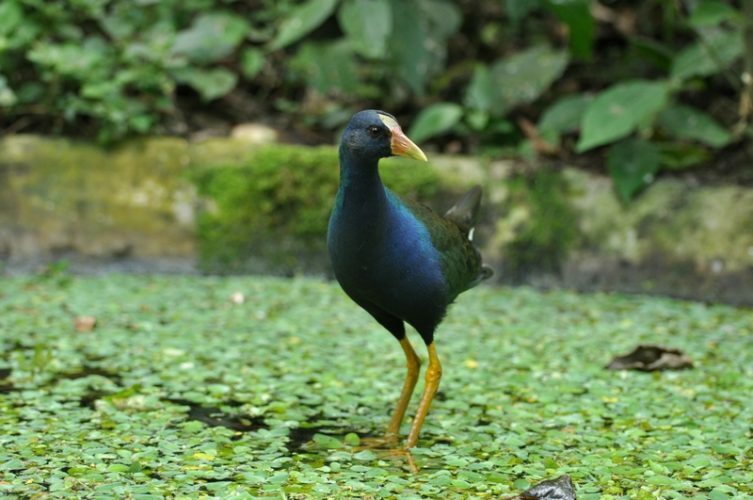 Koru, our purple gallinule is now beautifully purple. Our team takes extra care to make sure we spot him every day. This has become a bit more challenging as he no longer responds to his name now that all the parrots have taken to calling his name frequently throughout the day. However, all seems well and Koru can often be spotted taking a bath in the pond or going up on the feeding tables. 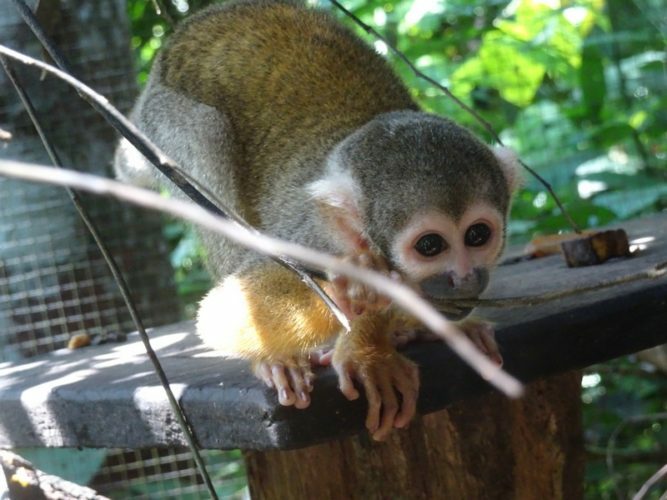 Our new arrivals from last month, Inka, Aritha and Tommi, two female saddleback tamarins and one male squirrel monkey were doing very well and could leave the clinic. 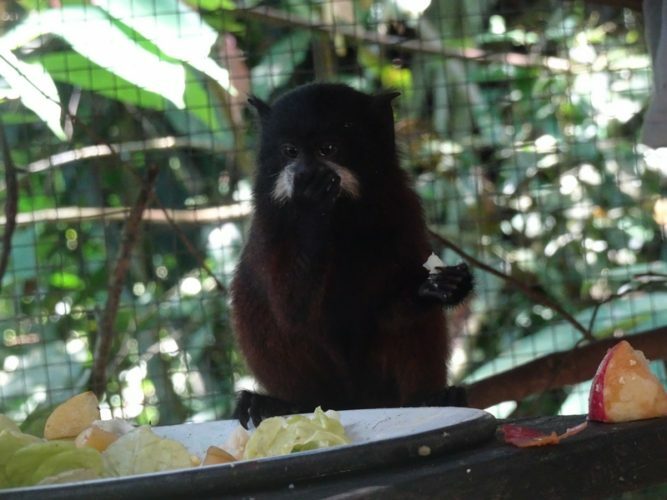 They were introduced to our other two tamarins, Tagu and Benito, in the Lucia enclosure. They all really enjoy their new, bigger group and still work on sharing given crickets fairly among each other. 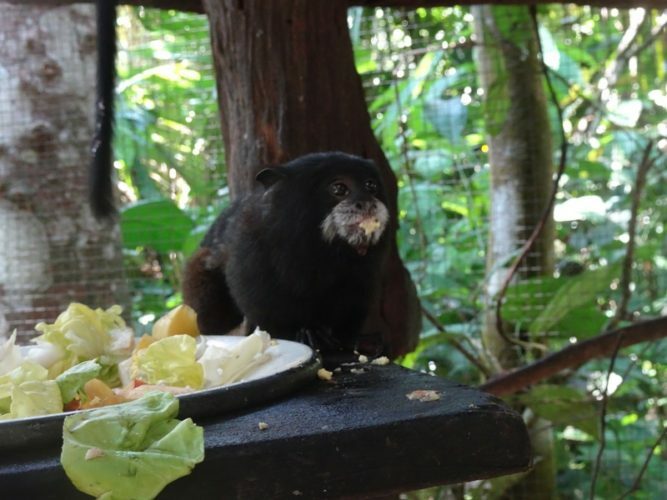 Our older released tamarin Shambito returned recently when the tamarins moved out of the clinic. 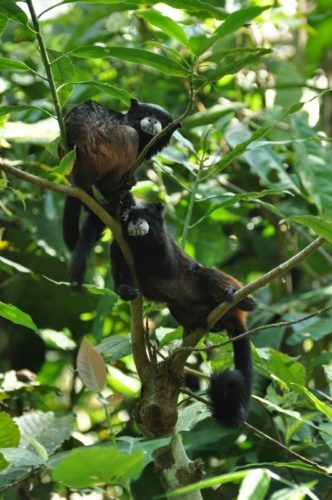 He returned with two other tamarins and all three wild ones are frequently spotted around the Lucia enclosure. We are hoping the young ones may join their group once they are released. 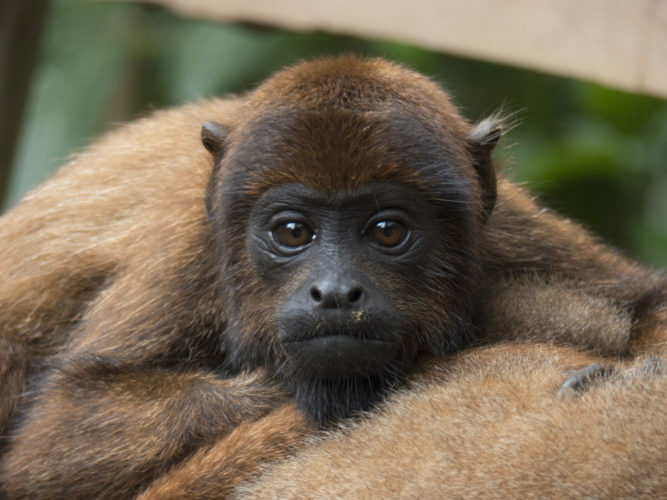 Ramon, our baby howler monkey, has changed “parents’’ and moved house over the last month. After Ian and Lauren left, our returning, long-term volunteers Carlotta and George moved into the guest house to look after Ramon and he took this change into his stride. He has become even more independent and is still as playful as ever. He is steadily improving his climbing skills and keeps surprising us with how far he can jump now! 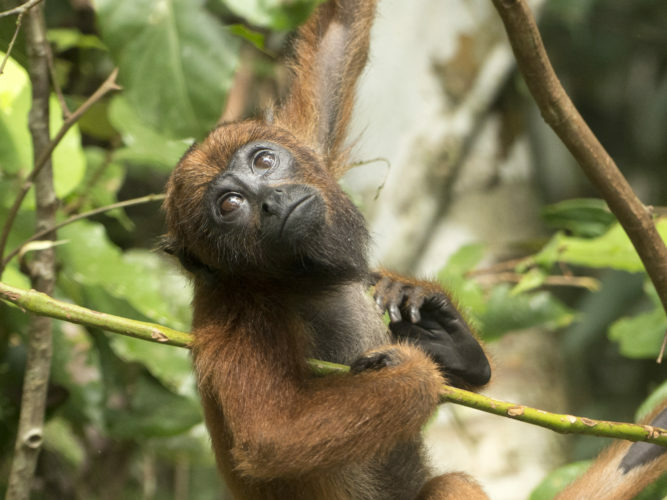 He loves swinging on lianas and playfully attacking much bigger woolly monkeys. At the end of this month Ramon moved into the Cabaña with our assistant manager Laura as Carlotta and George returned home. Legolas, our white-winged parakeet who is under intensive care with a broken leg, has improved a lot over the past couple of weeks. 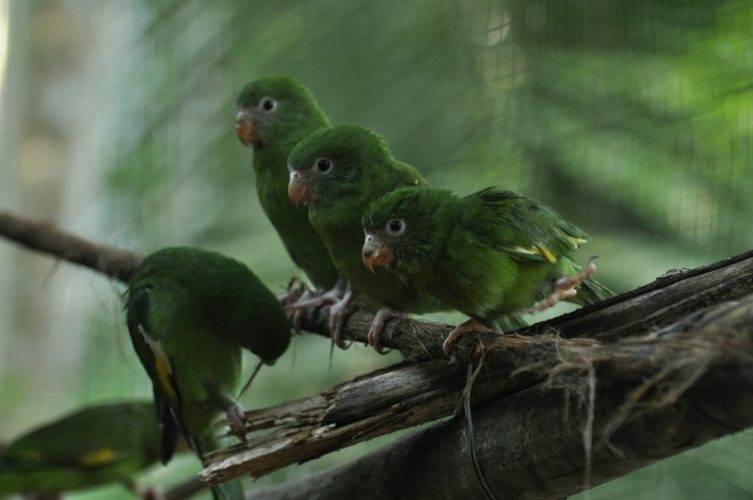 Because he has regained almost full use of his left foot we decided to let him join the other parakeets in the Tupak enclosure. Back with his old companions he is as happy as ever, still greeting us with his excited nodding but also blending in nicely with his kind. 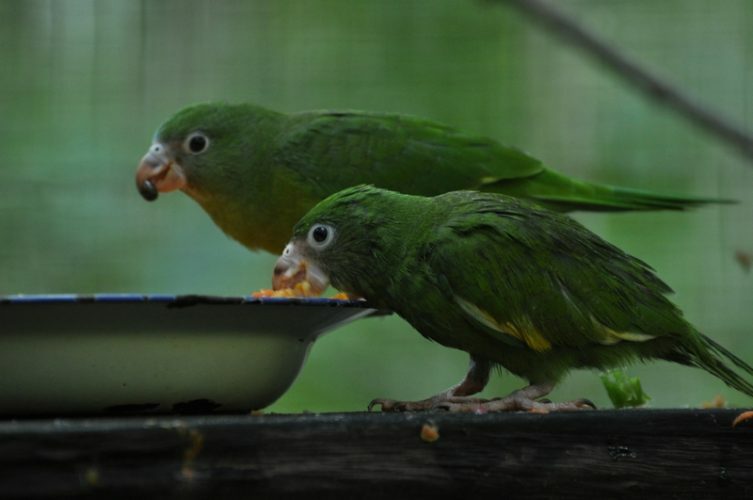 Our group of Parrots from the SUST animal orphan hospital, Zonia, an orange-winged amazon, Tupara and Teslo, mealy parrots, as well as Thesia, a white-eyed parakeet were finally ready to move to a bigger enclosure and meet some more birds. They are now in the Igor enclosure, enjoying the space and their new group. We are very happy it worked out well, even though we will also miss having them in the hospital with us. Especially Zonia who was a joy to have around and a favourite of everyone as she picked up different tunes, whistles and words very quickly and was always excited to see us. You can still hear her happily singing and calling out though, teaching the other new orange-winged amazons Ulisho and Roshca. She quickly made friends with a new song! Rafiki, adult blue and yellow macaw, who’s been with us since 2014, has had a nasty fall in the aviary. Douwe found him screaming, laying on his back on the ground and immediately took him to the SUST hospital. It is still very early to say what his internal injuries might be but so far he has been active and eating which are hopeful signs. 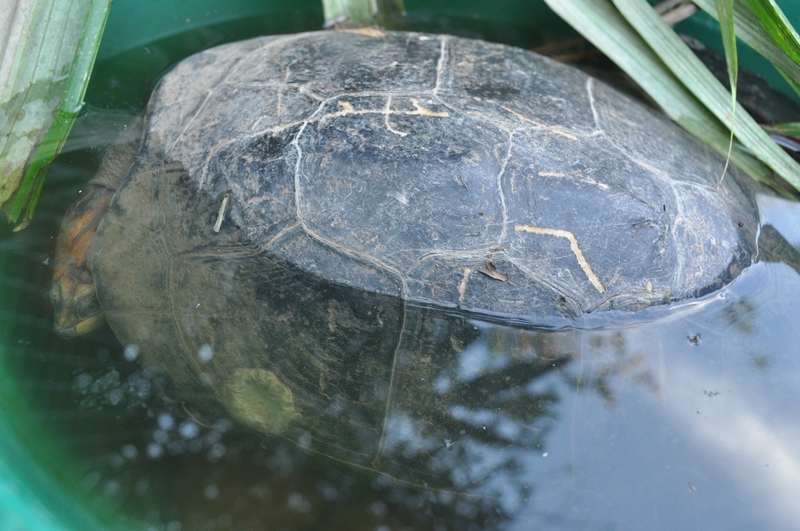 Alyak, yellow spotted river turtle, which arrived with the big group of animals in August, is still not well enough to join the other turtles. We are currently treating the wound on her right hind leg and are hoping she will improve. We make sure that she is eating well every day and keep a close eye on her. 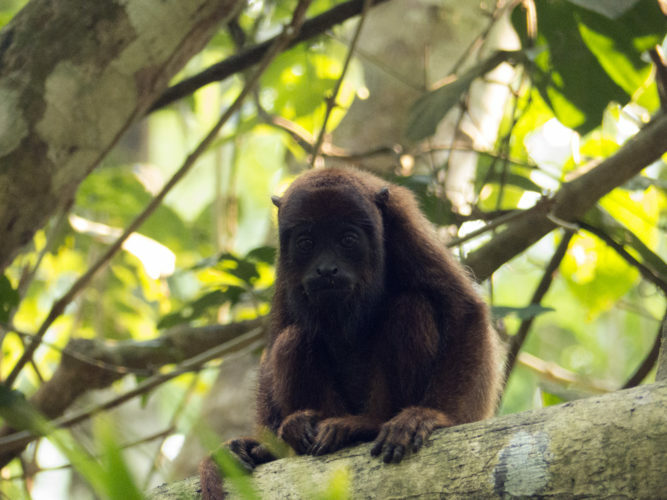 Sarah, an adult female howler monkey. 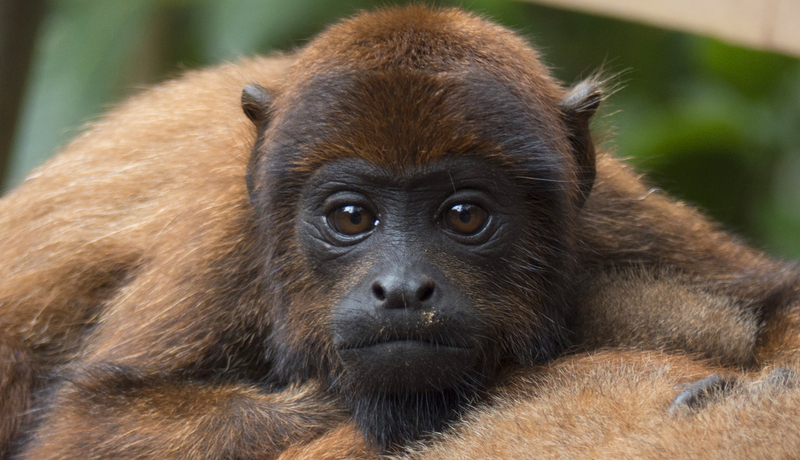 One story of a monkey moved our whole team deeply. 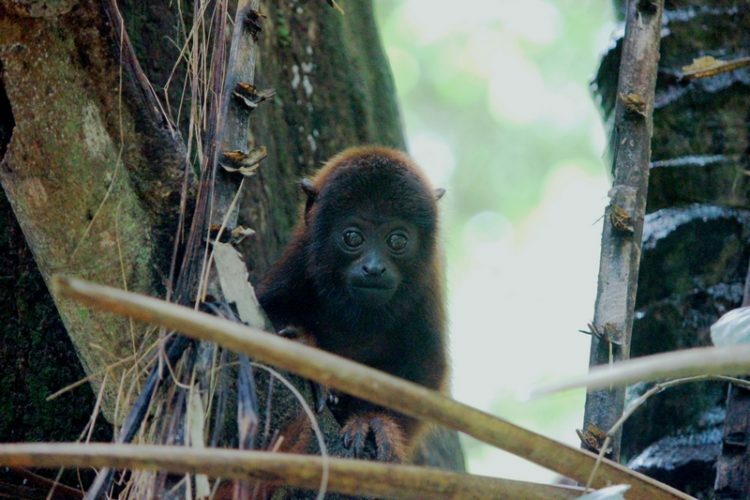 In the beginning of September two local men brought us a wild, adult, female howler monkey. They had to watch as hunters tried to shoot her out of the tree to get to her and to her baby. 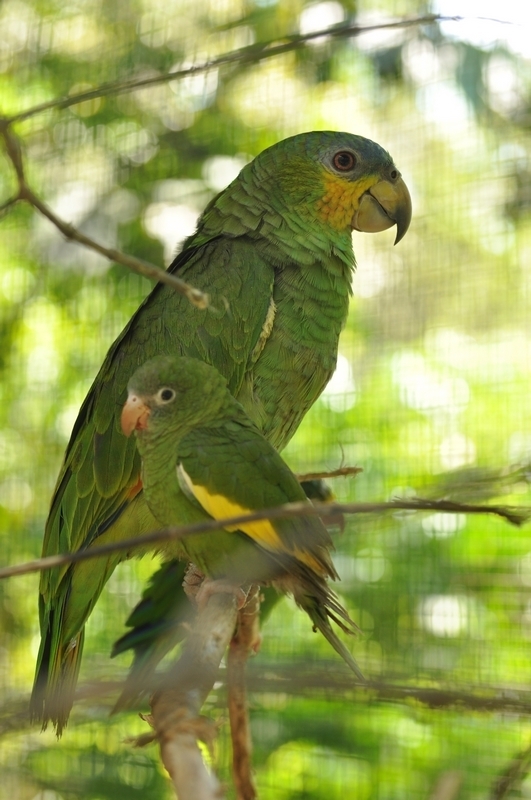 Her baby managed to escape and stayed with its family group but she was severely injured and brought to Esperanza Verde. She had multiple wounds that needed treating and many bullets were removed. She stayed in the SUST animal hospital under intensive care but unfortunately she died on her fifth night with us. The necropsy afterwards showed that we could not have saved her. We were all touched by how strong she was despite what happened to her and how long she kept on fighting. We decided to name her Sarah after Sarah Hardy, a primatologist who studied social behaviour, particularly the role of woman and mothers in evolution. Sarah showed all of us how important and vital our work here is. 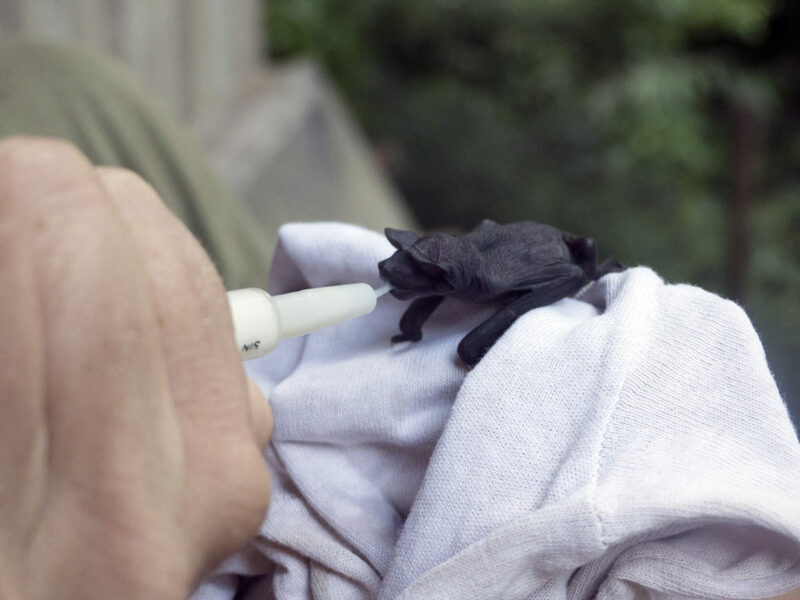 Two baby insectivorous bats. Kayla brought home two baby insectivorous bats which were found on the ground at her school. Both were not even a week old when they arrived but once they learnt how to drink milk from a tiny pipet they seemed healthy. Unfortunately one of the bats died after a week. The other baby, called Natasha, is doing very well. It is sometimes hard to feed her milk because she is so active, crawling around and spreading her wings. 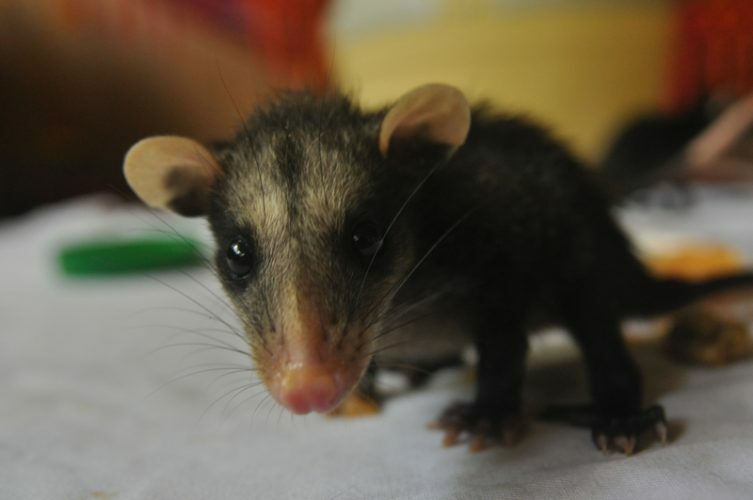 5 Common Opossums. These babies were handed over by a woman in the village to Kayla. After the mother was killed, the woman took care of them for some days before handing them over. They are for now under Kayla’s care in the manager’s house. Our volunteer group always is under steady changes. At the end of September we had to say goodbye to our long-term-volunteer and veterinarian Lisa, who did an amazing job as our veterinarian and in the management of the centre. She stayed for six months in total and will be deeply missed. Returning volunteer Jessie, as well as returning long term volunteers Carlotta and George are also going back home. They are leaving space for a new volunteer group under our assistant manager Laura. 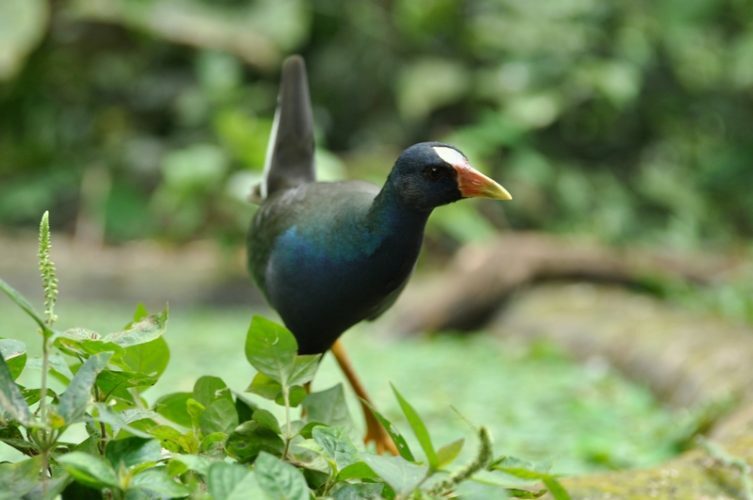 Everyone is enjoying the warm dry season and we’ve been spending our evenings playing games or going on night walks, to spot nocturnal animals. Douwe took all volunteers on a night walk and during the day Machico led a group of volunteers through the jungle on a tough hike, where he showed them many different plants and trees and explained about their different uses. There is always construction going on in Esperanza Verde, always stairs, cages, taps, houses, paths or bridges to be fixed. Douwe, Machico, Gumishu and Geiler, as well as many volunteers have been keeping our entire infrastructure together beautifully. And they still managed to make progress in our bigger projects! The quarantine for example is starting to take form. Many bricks arrived and the workers aided by the volunteers have spent every spare minute carrying them from the river to the quarantine. Other materials, such as mesh for the new Elmo enclosure have also arrived which means that Douwe and the team can soon start laying the finishing touches on that new enclosure. 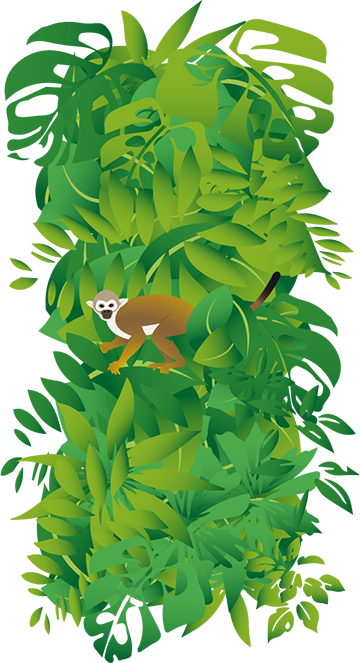 This enclosure will be similar to the big Rimaq enclosure, which houses our spider monkeys.